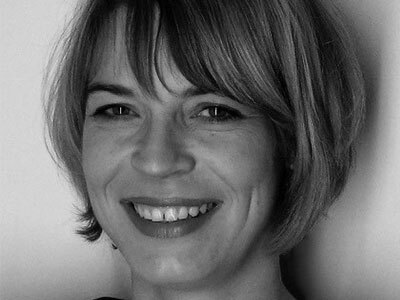 Esther Bialas studied costume design in Hamburg. She has a longstanding collaboration with theatre director Nicolas Stemann, designing costumes for his productions of Hamlet (Schauspiel Hannover), Jelinek’s The Work (Burgtheater, Vienna) and Schiller’s The Robbers (Thalia Theater, Hamburg). Together with director Christiane Pohle, she founded the women’s theatre company LaborLavache, presented at the Schauspielhaus Zürich. Esther has designed stage and costume designs for the Basel Theater, Vienna Burgtheater and the Deutsche Theater Berlin, for opera productions in Lucerne and Basel, as well as for film. Her collaborations as a stage and costume designer with director Barrie Kosky include Strindberg’s A Dream Play (Deutsche Theater Berlin), Strauss’s The Silent Woman (Bayersische Staatsoper), as well as Ball im Savoy, Seven Songs/The Seven Deadly Sins, West Side Story and The Magic Flute (Komische Oper Berlin). Other design credits: Les contes d’Hoffmann (Bregenzer Festspiele, dir. Stefan Herheim); Eötvös’s Three Sisters (Wiener Staatsoper); costumes for La cenerentola (Oslo Opera, dir. Herheim); costumes for La traviata (Theater Basel, dir. Daniel Kramer). Since 2004 she has taught costume design at the Lerchenfeld University, Hamburg.